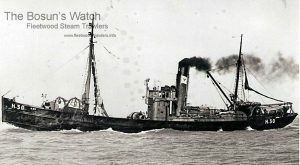 28.8.1928: Launched by Hall, Russell & Co Ltd, Aberdeen (Yd.No.696) for Aberdeen Steam Trawling & Fishing Co Ltd, Aberdeen (George Massie, manager) as STRATHGYLE. 18.9.1928: Registered at Aberdeen (A367). 28.4.30: In dense fog ashore on a reef at the Pentland Skerries. Refloated with help of Stroma fishermen; Longhope lifeboat stood by. 20.11.1937: Sank alongside quay at Pointlaw, Aberdeen. 28.11.1937: Salved. Later repaired and returned to service. 1938: W. Rhind appointed manager. 12.1942: Sold to Jutland Amalgamated Trawlers Ltd, Hull (E. Cargill, manager). 2.1.1943: Registered at Hull (H30). 12.1945: Sold to The Brixham Trawlers Ltd, Fleetwood (Dugdall & Son, managers). 2.2.1953: Last landing at Fleetwood. 3.2.1953: Sold to Clova Fishing Co Ltd, Aberdeen (David Wood, manager). 6.1953: Hull registry closed. Renamed STRATHELLIOTT (A46). 1961: Sold for breaking up. 05/04/2009: Page published. 4 updates since then. 01/04/2018: Removed FMHT watermark from image. 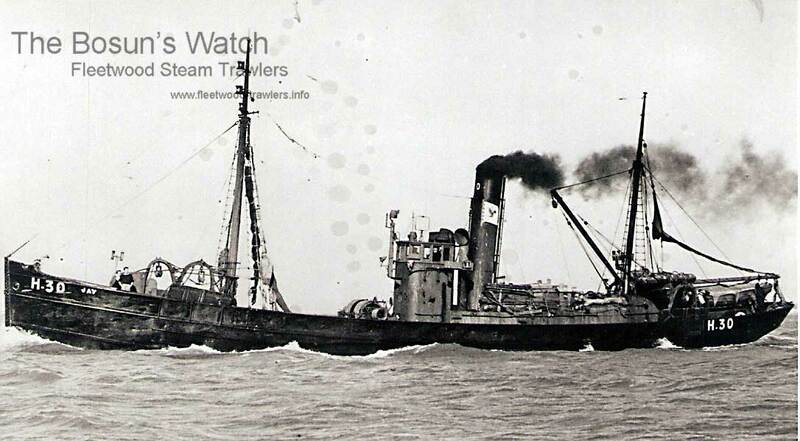 This entry was posted in Steam Trawlers, Steamers (Picture) and tagged Brixham Trawlers on April 5, 2009 by Fred Smith.